If you are spending more time cleaning your pool than enjoying it, you need the I-Robot at your place. 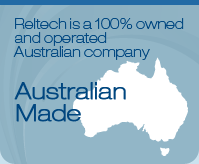 A complete cleaning solution and unbeatable value. 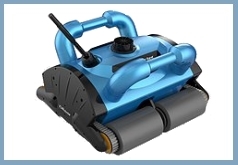 The I-Robot robotic pool cleaner is designed to enhance your pool cleaning experience. All you have to do is place the robot in the pool, turn it on and it will clean the floor and walls automatically. The self contained vacuum bag, means there is no need to clean your cartridge filter or sand filter after the vacuuming is done. Simply rinse the internal vacuum bag, and you are ready for the next clean.